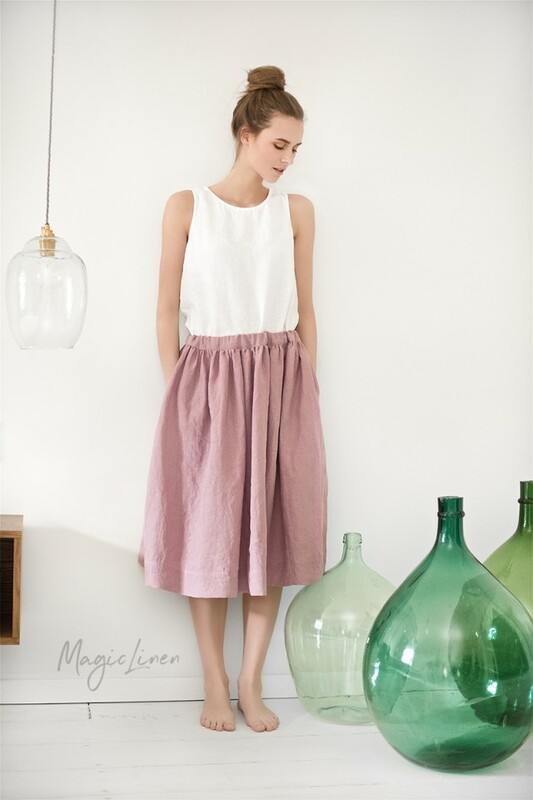 A-line midi linen skirt available in all MagicLinen clothing colors. 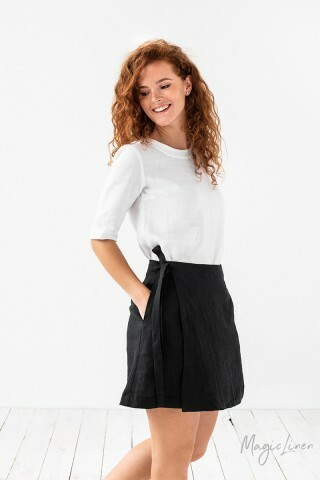 Designed to have a relaxed fit, this linen skirt features side pockets, an elastic waistband, and side slits that can be regulated with coconut buttons. Breathable, lightweight, and effortlessly stylish, they can be worn as is or rolled up for a more casual look.